When the weather is warm ticks hang around and wait for a body they can jump on for a free stay in and a meal. If you expose yourself and your pet outside, you will probably get them. These tips can effectively remove ticks from your pets and also work well for humans. Pick out a place or an area where you can easily move while doing this procedure. You don’t need to get down or lie on the floor. Get a small plastic container and pour in some rubbing alcohol. This is where you will place the ticks. Get a piece of Aloe Vera leaf and slice it. Place it within your reach. Get on the floor while positioning yourself in a way to secure your pet between your legs. This will leave your hands free to do the necessary work. Say encouraging words so as to relax your pet so it will be easier for you to remove the ticks. If you are, however, dealing with a human, this step is not necessary unless it is a kid. Find the ticks and stat removing them as far away from the fur as possible. 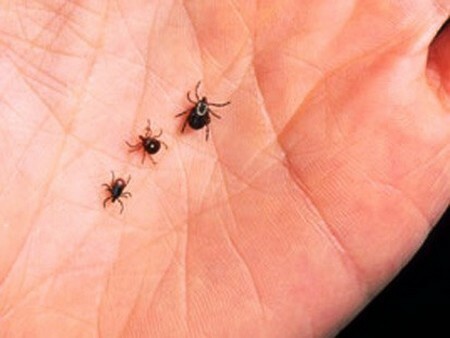 Avoid sinking them onto the skin, because when this happens you will disturb the tick and cause pain to your pet. It will also be harder to remove the tick, and this is the last think you want to happen. Keep the fur away with one hand to get a better grasp. Place the tweezers close to the area where the tick’s head is pressed to the skin. Do not touch the tick yet. Make sure the tweezers are positioned appropriately to avoid pinching the skin of your pet. You will have to do the following step as quickly as you can to prevent your pet from experiencing pain. Close the tweezers and pull as fast as you can away from the fur and skin. Once you get the tick, place it in the container filled with alcohol. This will kill the tick. Then dip a finger into the alcohol and dab it on the spot where you removed the tick. This will clean the area. You might need to blow on to it for a few seconds because it may cause a stinging sensation. With the Aloe Vera leaf, gently squeeze it until a little liquid comes out. Dab a little amount on the area to relieve pain and speed the healing process. Repeat the procedures until you clear away all the ticks. After you are done, clean the tweezers you used with alcohol. Leave the container containing the ticks overnight and then throw it in the garbage can.